The book has been around for a while, so you might have an earlier edition. 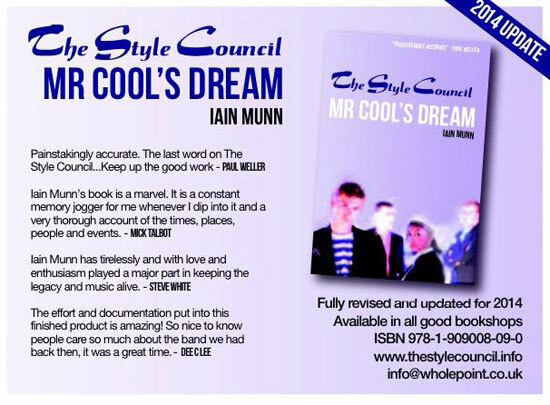 But The Style Council: Mr Cool’s Dream by Iain Munn will be returning once more soon, with a 2014 edition. 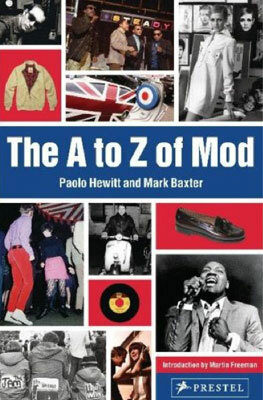 The book has long been established as the first and last word on the Style Council, chronicled the band in painstaking detail. If you forgave Weller for splitting up The Jam and like a bit of Style Council (as we do), it’s pretty much essential. The new version basically brings the story up to date (2014), with the book currently being laid out and though out (so presumably the writing is complete). What we don’t have yet is a definite date, but if you want to keep on top of it, check out the Facebook page of the book, where you’ll be kept up to date all along the way.